Memorial services are scheduled for 10 a.m. Saturday, April 21, at Trinity Temple Assembly of God for Gabriel A. Leamon of Artesia. Leamon, 26, passed away Sunday, April 15, 2018, at his home. Pastor Bobby Argo will officiate the services. Cremation has taken place under the direction of Terpening & Son Mortuary. Gabriel was born Aug. 18, 1991, in Carlsbad to Arnaldo and Yvonne (Paz) Leamon. He was a lifelong Artesia resident and worked as a maintenance man at Legacy Inn. 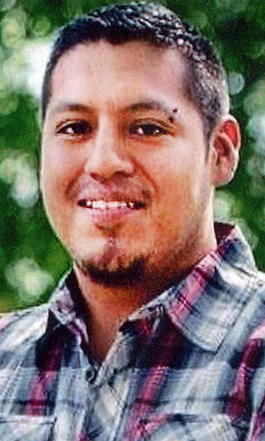 Gabriel was a member of the Moose Lodge of Artesia, enjoyed woodworking, gardening and baking, and loved spending time with his family. Survivors include his parents, Arnie and Yvonne, of the family home; sisters Bonnie Paz-Fernandez and partner Sally Garcia, and Brittany Leamon and fiancé Jeriah Herron, both of Artesia; and grandparents Bill and Ruby Leamon of Lubbock, Texas, and Joe and Faye Paz of Alamogordo.